Chiquito is a Restaurant Bar & Mexican Grill serving up some delicious Foods and Drinks. The moment you walk through the Door, you can expect a Kick of Flavours,warm Welcome and a lively Atmosphere. Take a look around, you will see wonderful, authentic, features that capture the Tex-Mex vibe! Chiquito is passionate about Food and your Dining Experience! They have become one of the UK's most loved Mexican Restaurant in the Country. 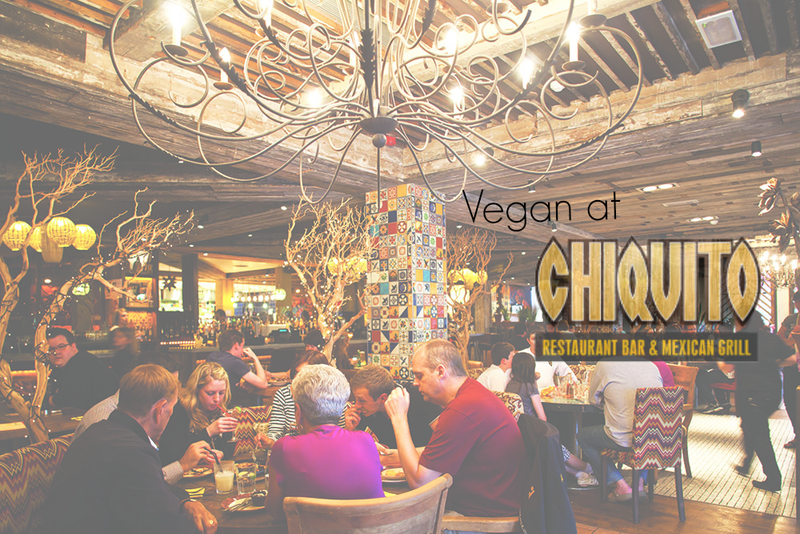 Chiquito isn't a Vegan Restaurant, but they offer Vegan dishes as well as catering for Intolerance's & Allergies! On Chiquitos Website they make it very easy to find the Foods that suit your Diet. They have Allergy advice Menus from Lunch to Dinner to Desserts, there is something for everyone at Chiquitos. I really like the way Chiquitos have used Colour coding and symbols on their website which really help visually to make it easier to see the Foods that suit your Diet! Below, i have gone through their Website listing all of the Meals and Drinks Suitable for Vegans! I really hope this helps you find a new and exciting Restaurant to enjoy! The drinks menu is absolutely Outstanding, but the Food Menu is great quality, the atmosphere is excellent but its a shame they don't do more of a selection of Vegan Main Meals! Stay in the loop and be 1 step in front of others by signing up to Chiquitos News letter for Deals, exclusive offers and more! Chiquitos are very pleased to announced, that they have 9 new Restaurants due in 2015! Im excited, are you? I have been to Chiquitos once and i was very happy with the service, the staff are friendly, and they are willing to help! Can't say enough great things about this place! Our server was productive and nice. The appetizers were excellent, as were the main courses. The food at San Francisco restaurants is indeed as good as advertised and they had some solid beer recommendations. I can't wait to come back! Restaurants in addition to American indian settlers.